In the linernotes with this CD we can read: If you want to perform his symphonies and surely if you want to record them, you must make a thorough study of Beethoven’s personal situation and that of the world around him. Here we can only set down a few short brushstrokes on an enormous empty metaphoric canvas. A canvas that must be filled completely, preferably painted true to life right down to the smallest details, using a fantastic palette of colours. When it is finished, we will see Beethoven, situated in his time. The painting will tell a story. With this new Beethoven cycle conductor Jan Willem de Vriend, together with the Netherlands Symphony Orchestra, ventures to tell a new story. His story. With enormous passion and enthusiasm, he has immersed himself in the life and work of Beethoven. To gain the best possible understanding of Beethoven, he says, you must know something about the people around him: for example, his teachers Albrechtsberger and Neefe, who watched his career. You need to know what it was like in Bonn when he grew up there. You need to know that his grandfather enjoyed trading wine and that Beethoven therefore took pleasure in allowing himself to be paid in wine, for example by his publisher. You need to know where his roots are. You need to know the music of his pupils, such as Ries and Moscheles. 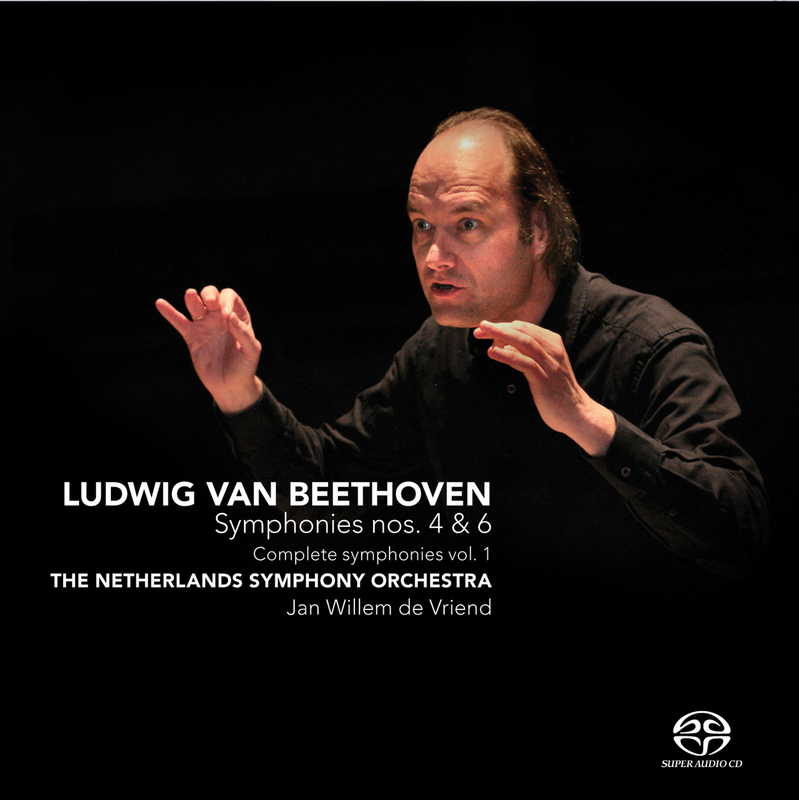 Jan Willem de Vriend has conducted the music of Beethoven, of people who composed for him, of his contemporaries. He has been working on this intensively for the past twenty years. "Essentially these are clean, well recorded performances, combining many aspects of the modern trend towards historically informed performance with some features of a more traditional approach - especially the use of luftpausen and some moderate variation of speed within movements."